Another Sunday, another Britain’s Got Talent show hit with claims of cheating after a technical difficulty left audiences suspicious. 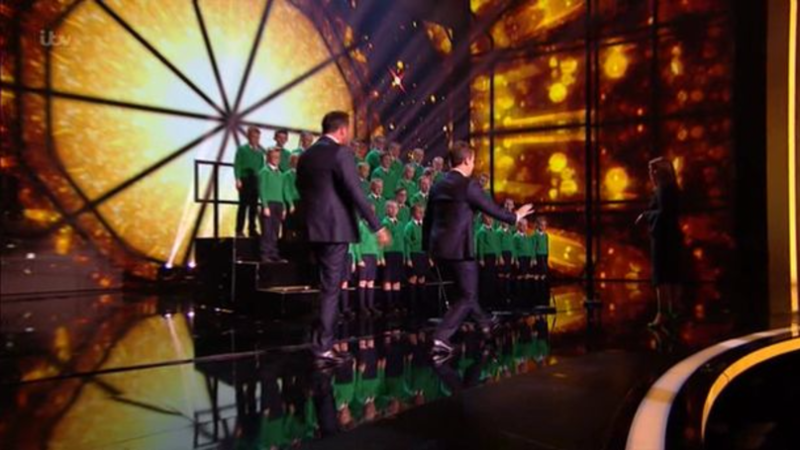 The Irish schoolchildren of St Patrick’s Junior Choir Drumgreenagh were the first act to perform on last night’s live semi-final, but proceedings didn’t start as planned. As the 36-strong choir stood on stage, ready to launch into their rendition of Katy Perry’s Roar, TV presenting stalwarts, Ant and Dec had to call curtains on their choral offering sooner than expected when a backing track caused ‘technical difficulties’. Dec explained the hitch away, saying: “Just a couple of technical issues… The first act of the semi-finals.” But the Royal Variety Show competition hopefuls looked confused as the pre-recorded track played voices, prompting viewers to question the legitimacy of the choir’s performance. While BGT is yet to respond to these accusations, the schoolchildren didn’t let the technical difficulties mar their performance, and went on with the show. Amanda said that they represented their school and Ireland beautifully and described it as “joyful” and “hopeful”.